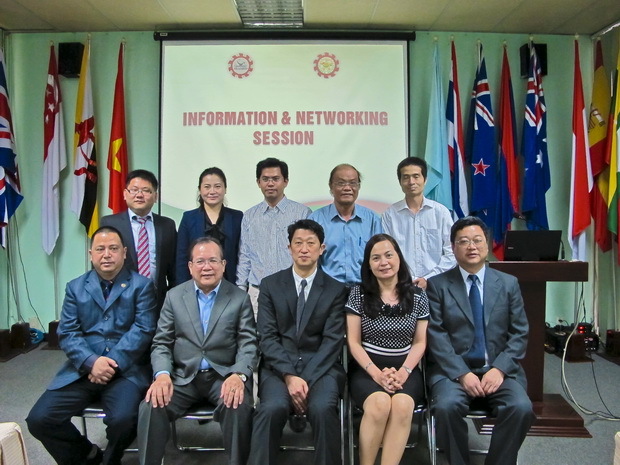 The Department of Education of Guizhou Province in collaboration with SEAMEO RETRAC conducted the information and networking session in Ho Chi Minh City for the delegates coming from the People’s Republic of China on March 17-18, 2014. The delegates were led by Mr. Wang Bihai, Deputy Director-General, Department of Education of Guizhou Province. The purpose of this information and networking session was to pave the way for collaborative possibilities between Vietnamese institutions and Chinese counterparts as well as to announce the scholarships provided by the Department of Education of Guizhou Province to Vietnamese students.